There’s never a dull moment in Mr. Vegas career. The hit-making singjay recently released a Gospel single titled Jesus Train. The song that was released on his MV Music label is currently enjoying rotation on popular Gospel radio stations. 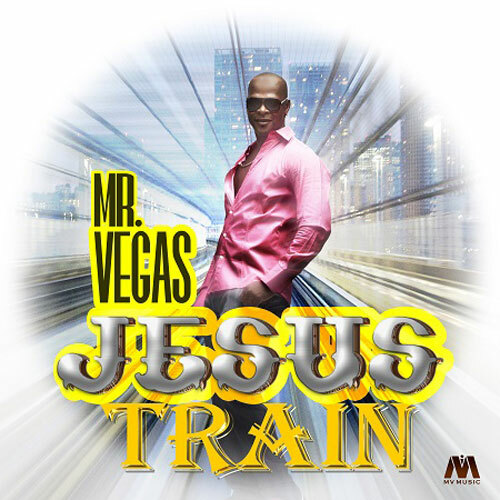 Gospel Train has sparked widespread speculation among fans and music industry insiders, as to whether or not Vegas is planning to follow the foots steps of former high profile Dancehall acts like Papa San and Lieutenant Stitchie, who converted to Christianity at the height of their careers in the late 90s and eventually launched successful Gospel music careers. Vegas also revealed plans to release his 8th full-length project in 2016. I’m going to drop an album called Gospel Rock next September, I’m very excited about it, this is the part of my music I enjoy the most,” said Vegas. Mr. Vegas is currently touring Europe in support of his album called Lovers Rock & Soul that was released in October.